So I shall share a few pics and a comment on my recent Holiday to Port Aventura in Salou, Spain, where I stayed in a lovely hotel, ate lovely food, drank too much beer, went on awesome rides and met the lovely Very Bored in Catalunya, who was not boring (and hopefully not bored by me!) she was in fact delightful, as was her tiny boy. Here we are! trying not to look like the same person! 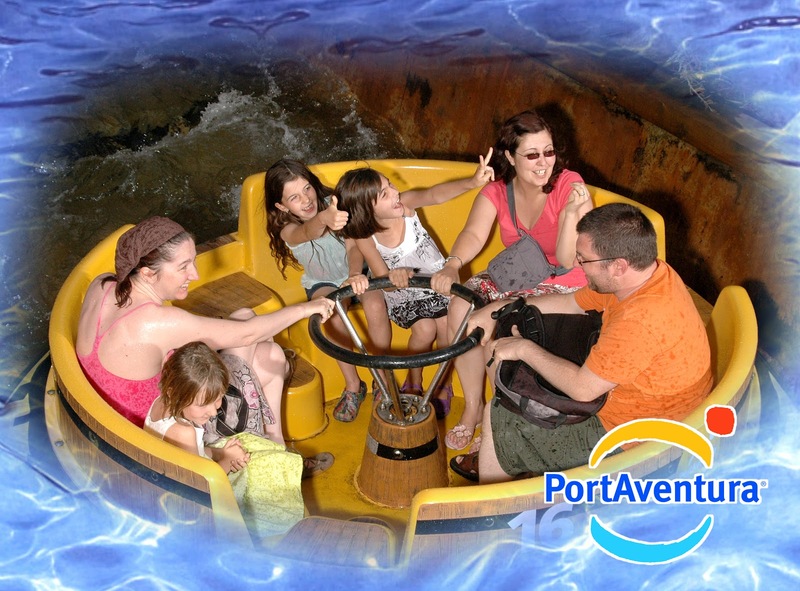 We (my DD and I) stayed The Hotel Vil La Romana, a great hotel that I've now stayed in twice, I always enjoy the food and the staff are very helpful and it's only a 10 minute walk to the PortAventura theme park, which is pretty much why we are there at all! One of the things they are good at is decorative food! and we can't wait to go back.